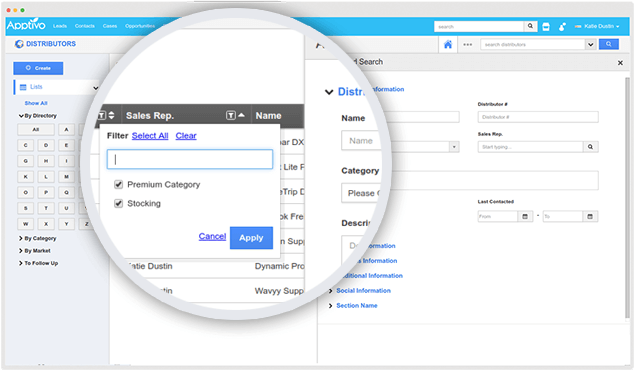 A smart end-to-end solution to manage and engage all your distributor information efficiently. 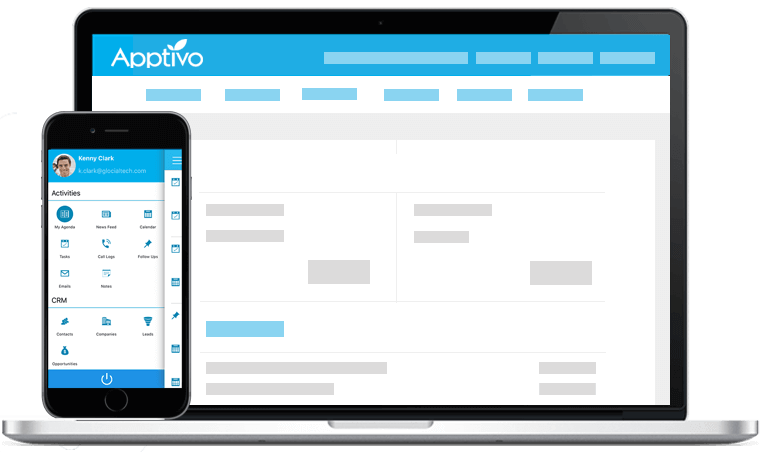 Distributors App allows you to effortlessly organize your distributor contact information, and schedule activities related to the distributor. Have quick access to real time information of your entire distributor data in one central place. 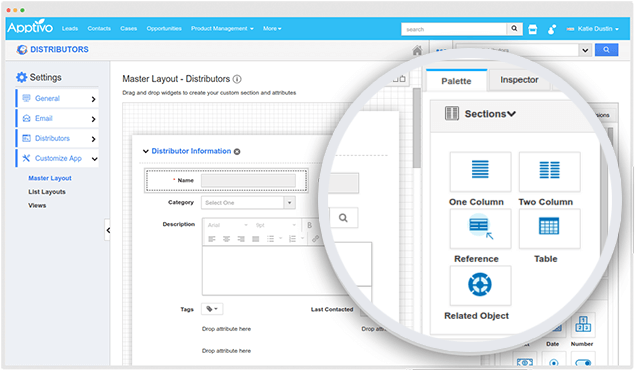 Manage and handle all distributor activities in a more efficient way. Stay updated with all sort of distributor activities through news feeds & email feeds. 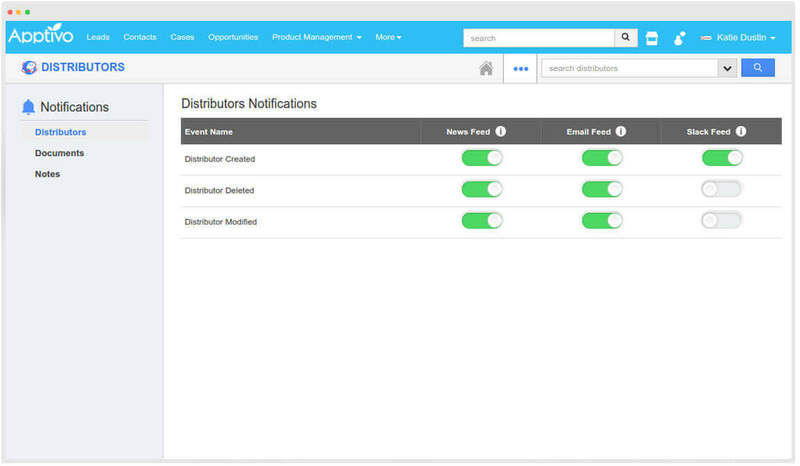 Give yourself a quick notification whenever a distributor is created, updated, and deleted. One click access to receive instant notifications. Importing feature is a great way to move the distributor data into Apptivo Distributors App. 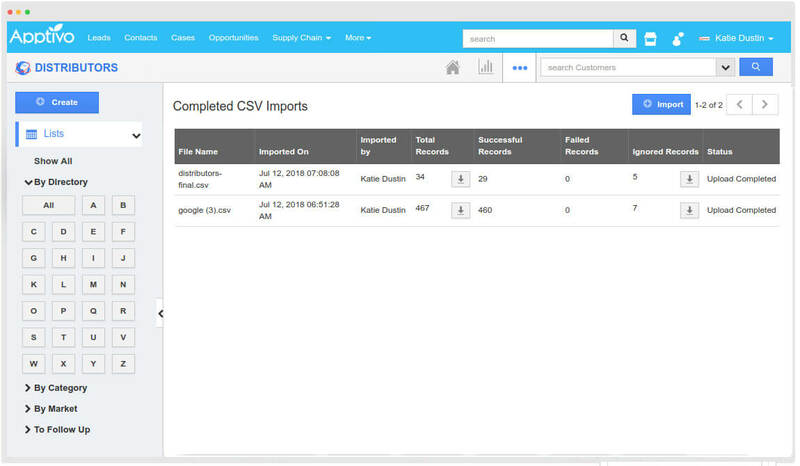 Import large sets of distributor records in a user-friendly way, without any risky hacks and steps. A real-time solution empowering both custom and standard filter options, and you can easily sort the records. Get access to excellent searching capabilities - basic & advanced. 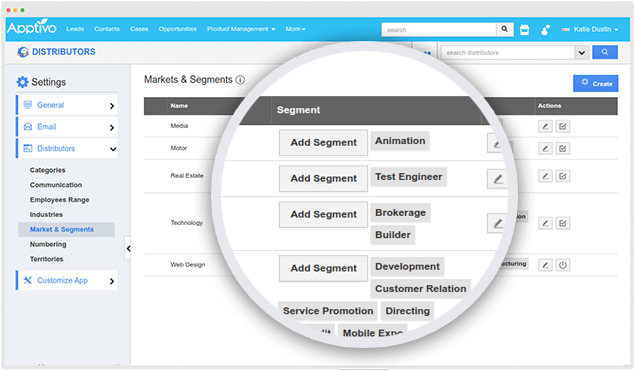 Create and configure the markets and segments you target, and easily associate it with your distributors. 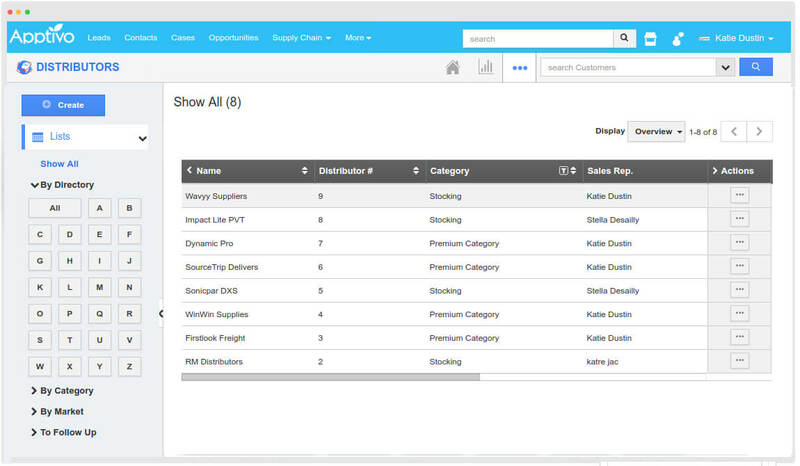 You can also classify your distributors based on the different markets and segments. Offers high level of extremely simple and flexible customizations. Create almost any typical layout with both standard and custom fields, personalize the standard views, add unlimited custom fields, create custom views, capture search results into views, and much more. Allow your distributors to be uniquely identified in your business and avoid redundancy of the data. 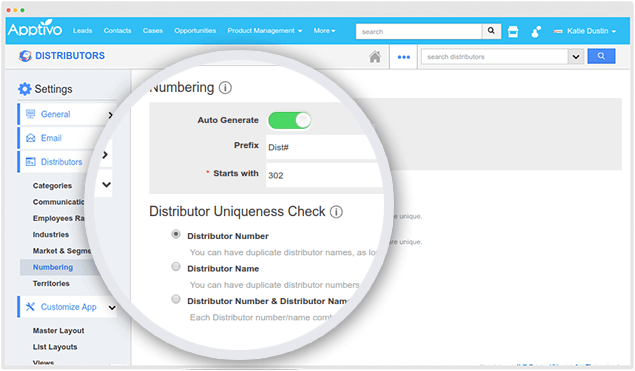 Specify how a distributor is to be uniquely identified in your business when you are creating a distributor which gets to be duplicated.